Cephalonia 1941. Captain Corelli, an enigmatic young Italian officer, is posted to the idyllic Greek island as part of the occupying forces. Shunned by the locals at first, he proves to be civilised, humorous - and a consummate musician. The Captain is soon thrown together with Dr Iannis’ strong willed and beautiful daughter Pelagia, who discovers all of the complexities of love, and how it can blossom in the most unexpected and profound way. 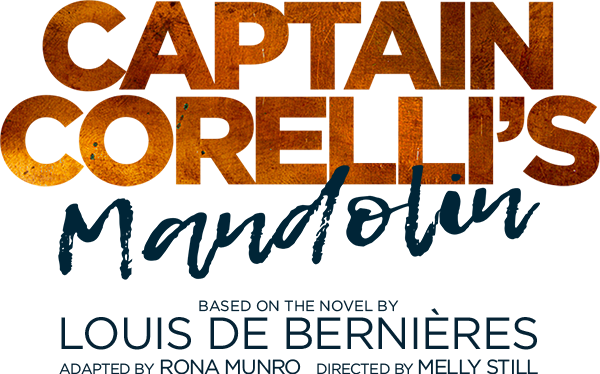 A cast of fifteen actors and singers bring Louis de Bernières’ epic novel dramatically to life. Experience all of the passion and poetry that made this love story a multimillion best - selling novel and a smash - hit Hollywood movie. From the vivid descriptions of the village and its inhabitants, to the brutal life and epic sweep of the soldiers caught up in the constantly changing politics of war, this stunning new production is directed by Olivier and Tony - Award nominee Melly Still (My Brilliant Friend) and writer and adaptor Rona Munro (The James Plays) and includes specially commissioned music by Harry Blake.